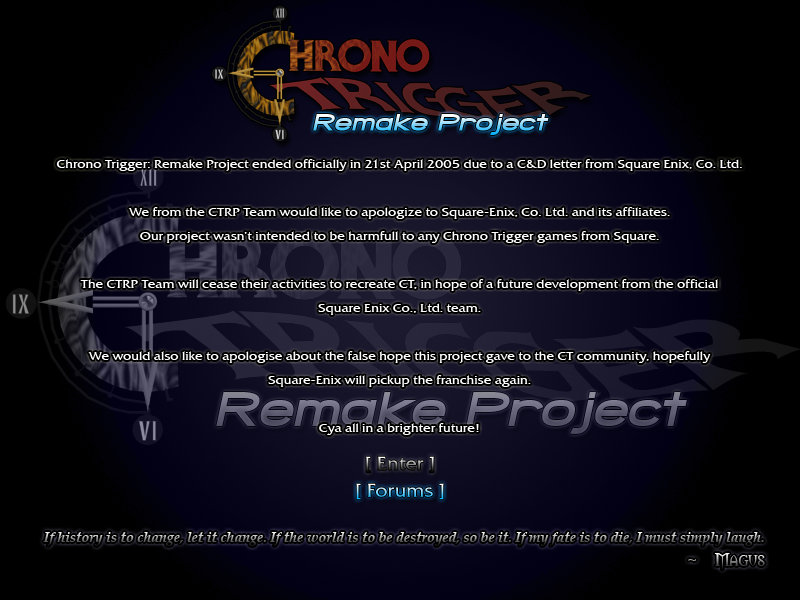 Chrono Trigger, Chrono Cross: ©1995,1999,2008 SQUARE ENIX CO., LTD All Rights Reserved. Characters: ©1995,1999 SQUARE ENIX CO., LTD All Rights Reserved. ©1995,1999 BIRD STUDIO/SHUEISHA.